Heat oven to 350°F. Spray 24 mini muffin cups with cooking spray. Scoop 1 tablespoon cookie dough into each muffin cup. 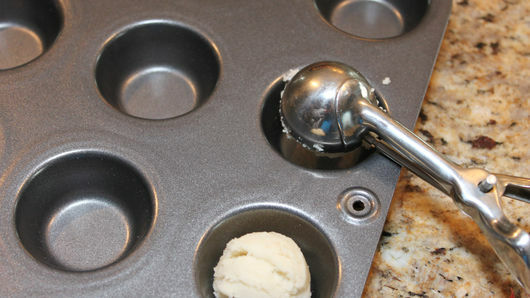 Press dough in bottom and up side of each muffin cup, pressing slight rim above top. Bake 10 to 13 minutes. Cool 10 minutes in pan. Remove to cooling rack to cool completely. In medium bowl, beat butter and powdered sugar with electric mixer on medium-low speed until well mixed. Gradually beat in milk and vanilla. Divide frosting evenly among 3 bowls. Tint 1 red and 1 blue. Leave the other white. In large (16 inch) disposable decorating bag with star tip, place spoonfuls of each color of frosting side by side, alternating colors and working up from tip of bag. Do not mix colors together. Starting at outer edge of cookie cup and using constant pressure on bag, pipe frosting clockwise 3 rotations. 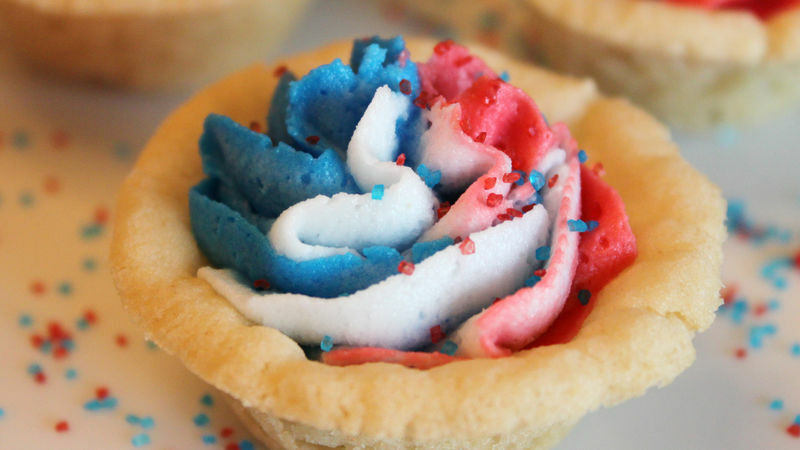 Sprinkle with colored sprinkles. Store loosely covered. 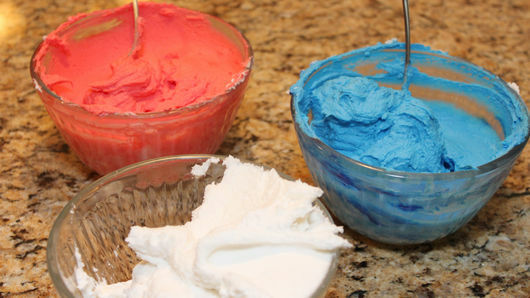 You can also use ready-made frosting... just grab 2 containers to make sure that you have enough! 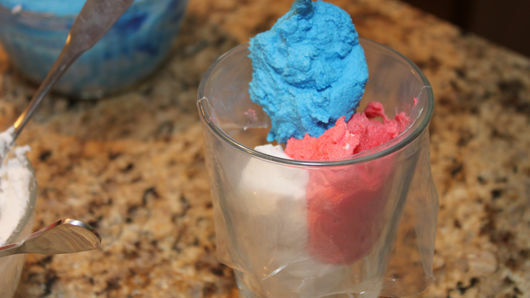 You can experiment for other occasions by trying different fun colors.